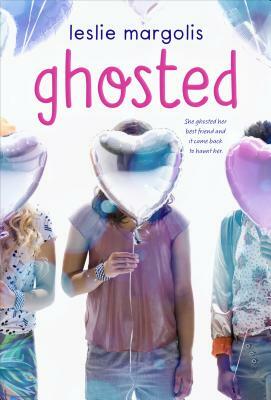 Ellie Charles ghosted her best friend—and her actions come back to haunt her. A heartwarming and funny middle-grade story of redemption from Leslie Margolis. Thirteen-year-old Ellie Charles has everything going for her: she’s the smartest, prettiest, best-dressed, and most popular kid at Lincoln Heights Middle School. She’s also the meanest, by design. Ellie’s got sharp edges, which she uses to keep herself at the top of the social food chain. But one night, hours before her school’s winter dance, a frightening accident leads her to encounter a ghost who just might change everything. This ghost, of a girl dressed all in black, makes Ellie visit her own past, present, and future—reliving her parents’ divorce, her struggles in school, and worst of all, her massive falling-out with her best friend, Marley. Can what Ellie sees inspire her to change her ways? And is a new perspective enough to save her life?